Plant collections of a range of species with horticultural potential, including Native Paper Daisy, native daisies, native Bluebells, Ptilotus, native grasses and the Freycinet Wax Flower. 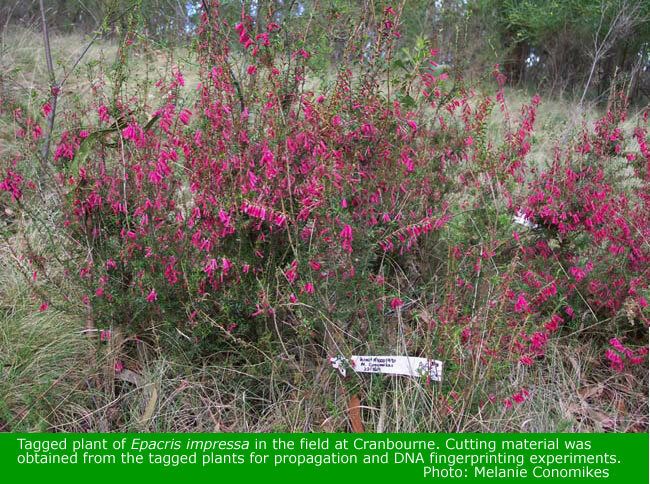 Development of propagation methods, for example for Epacris impressa. Assessing the threats to particular ecosystems, such as the Western Myall and Red Gum woodlands in Victoria and the wild rice ecosystems of northern Australia. Identification of species which are at particular risk from climate change because of a requirement for cold for seed germination. Virtually all grants have been directly or indirectly used to fund young scientists to carry out research on Australian plants. Many of these people continue their career in this area. Donations. Donors contribute, regularly or when they have funds available, to fund research projects chosen by the Foundation. Donations over $2 are tax deducible – the Foundation is an “Approved Research Institute” and a “Deductible Gift Recipient” as defined in the Income Tax Assessment Act. Gifts of property and land are also tax deductible. The Foundation is registered as a charity by the Australian Taxation Office. Your donations attract supporting funding from other sources, such as the Australian Research Council, Botanic Gardens and other organisations, and the Institution where the research is carried out. One hundred percent of the money given in donations is spent on research. Bequests. For individuals who would like to contribute, but find themselves unable to do so at this time, a bequest is a way of making that contribution. The Australian Flora Foundation is an excellent, non government channel for directing gifts to research on Australian plants. More details are here. 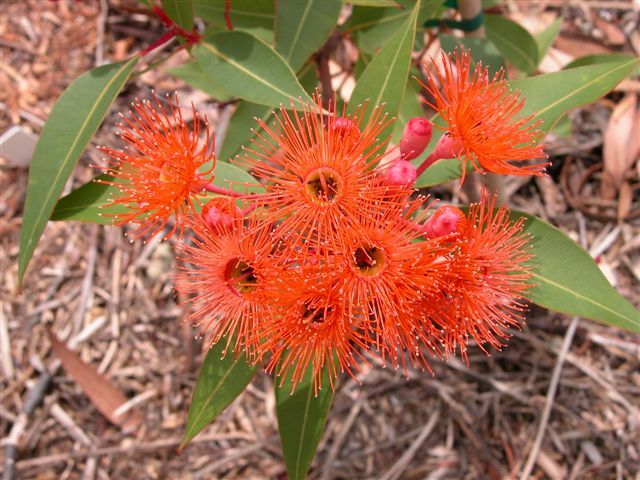 The Australian Flora Foundation gratefully acknowledges the support of all members and donors.